Want to study in a European country with a high quality of life? Somewhere green and clean? Snowy and fairytale-like? How about riding a bike instead of catching the tube or the bus on your way to university? If all of this sounds good, why not consider studying in Denmark? If you’re convinced this Nordic nation could be for you, click on the tabs below to find out more about universities in Denmark, applications, fees, student cities and more. Living costs are high - you need around €14,400 a year. There is no restriction on the hours EU/EEA or Swiss students can work. Non-EU students can work up to 20 hours per week and full time in the summer break. As well as Denmark proper, which consists of the main peninsula Jutland and 406 islands (the biggest of which by far is Zealand), the Kingdom of Denmark also includes the Faroe Islands and Greenland. 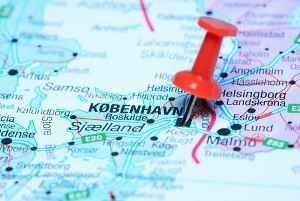 Situated at the gateway between northern and western Europe, Denmark may be a relatively small country, but it's a heavyweight study destination. Five universities in Denmark make the top 400 of the QS World University Rankings® 2019, with the University of Copenhagen leading the way in joint 79th place. Tuition is free for students from the EU, and fees are certainly not extravagantly high for those from further afield. Most courses are taught in Danish (especially at undergraduate level), but you’ll also find a good selection of programs taught in English, and some in German. The University of Copenhagen is the highest-ranked university in the whole Scandinavian region, placing joint 79th in the QS World University Rankings 2019. Established in 1479, it is Denmark’s oldest institution and the second oldest in Scandinavia, after Uppsala University in Sweden. It’s home to around 38,500 students, including 3,500 international students, with four campuses, all of which are located in or around the capital Copenhagen. Most courses are taught in Danish, although there are a few in English and several in German. Denmark’s first polytechnic institute, the Technical University of Denmark was founded in 1829 by the famous Danish physicist and chemist, Hans Christian Ørsted. Today, it’s one of Europe’s leading engineering institutions, ranked 112th in the QS World University Rankings 2019. Currently, the university is home to more than 11,200 students enrolled across 25 departments. Its campus is located in Kongens Lyngby, a city just north of Copenhagen. The university’s official colors are red and gray, and it’s famous for its rugby and volleyball teams. Denmark’s next university, Aarhus University, ranks joint 141st in the world. 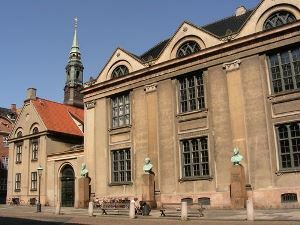 Despite being much younger than the University of Copenhagen, it is the country’s second-oldest non-technical higher education institution. Founded in 1928, Aarhus University has expanded a lot since its creation and is currently the largest in Denmark. Around 39,000 students are enrolled, studying a wide selection of different subjects. Her Majesty Queen Margrethe II is among the institution’s most famous alumni, having studied political science here in the 1960s. Denmark’s fourth representative in the QS World University Rankings, Aalborg University is currently ranked joint 343rd. Established in 1974, the university is home to 20,700 students. 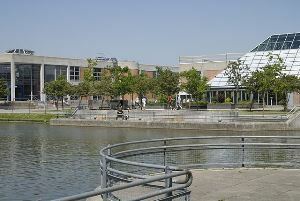 It has three campuses, of which the main is in the city of Aalborg. The other two are in Esbjerg and Copenhagen. Since 2007, the university has been divided into four faculties – Humanities, Social Sciences, Engineering and Science, and Medicine. 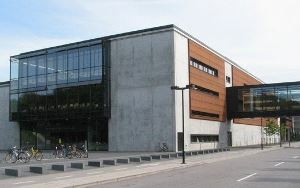 Aalborg University is a popular choice among international students, with over 15 percent of the university’s student body coming from outside of Denmark. 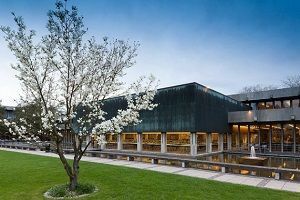 Denmark’s fifth entry in the QS World University Rankings 2019, the University of Southern Denmark is ranked joint 376th. 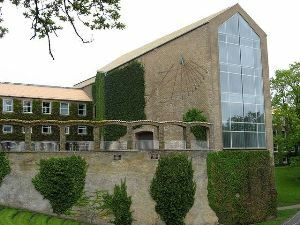 It was founded in 1998 after the merger between Odense University, Southern Denmark School of Business and Engineering, and South Jutland University Centre. In 2006, the Business School Centre in Slagelse, the National Institute of Public Health and the Odense Teknikum were also incorporated into the institution. Today, the university has seven campuses, located in Odense, Slagelse, Copenhagen, Kolding, Esbjerg and Sønderborg. More than 32,000 students are currently enrolled in the University of Southern Denmark, with almost 20 percent coming from abroad. Frequently ranked among the countries with the highest quality of life and happiest populations, Denmark is known for its pretty cities, high-end cuisine (Copenhagen, in particular, is full of Michelin-starred eateries), innovative and cool designs, high-quality cinema (including the work of world-renowned filmmakers such as Lars von Trier and Susanne Bier) and attractive coastlines. Denmark also has the distinction of being the world’s second-least corrupt country, according to Transparency International. 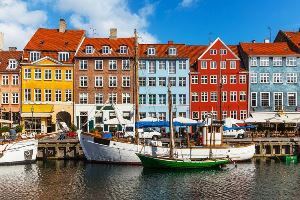 Denmark’s capital city, Copenhagen, is one of the most celebrated cities in Europe, and is currently ranked 45th in the QS Best Student Cities index. The heady combination of romantic spires and edgy new architecture, the vibrant and colorful cultural scene, innumerable cafés and bars, and the consistently high quality of life enjoyed by its residents all add to its appeal. It’s not the cheapest place in the world to study, but it’s unlikely to set you back more than other capitals such as London or Paris. As well as the University of Copenhagen, Denmark’s oldest and highest-ranked university, Copenhagen is also home to the Technical University of Denmark, ranked 112th in the world, as well as Copenhagen Business School and the IT University of Copenhagen. An important port town located on the country’s main peninsula, Aarhus is Denmark’s second-largest city and is home to the third highest-ranked Danish university, Aarhus University (joint 141st in the QS World University Rankings 2019). 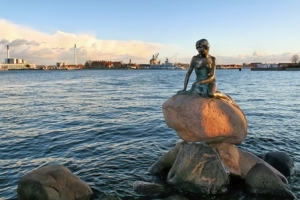 Like Copenhagen, it has a rich history and a stunning historical quarter, featuring not one but two 13th century cathedrals, as well as a rich cultural scene and plenty of nightlife, courtesy of its large student population. 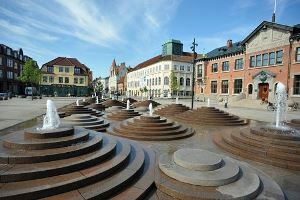 Aarhus has also been rated as one of the happiest cities in the world by National Geographic. 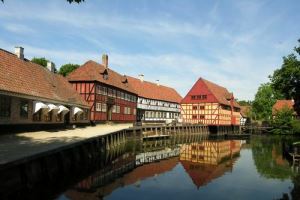 Located on the island of Funen, which sits between the main peninsula Jutland and the largest island Zealand, Odense is Denmark’s third most populous city. 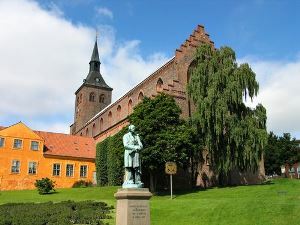 It’s noteworthy for being the birthplace of famous Danish author Hans Christian Andersen, known for his innovative fairy tales, and is also rich in Viking-era history. You can see the skeleton of Saint Canute, the country’s patron saint, on display in the city’s historic cathedral. University-wise, Odense is the location of the main campus of the University of Southern Denmark, ranked joint 376th in the QS World University Rankings 2019, and this relatively small city is infused with the vibrant life of its large student population. An industrial city towards the north of Jutland, Aalborg is home to Aalborg University, which is ranked joint 343rd in the QS World University Rankings 2019. Combining historical architecture with a more industrial and contemporary feel, one of Aalborg’s major attractions is Jomfru Ane Gade – a long street which is the center of the city’s thriving café culture and nightlife. The waterfront area has recently been redeveloped, and the city also has a new major concert venue – Musikkens Hus. Aalborg is also home to the largest carnival in Northern Europe, held annually in May. Applications to study in Denmark should be made directly to each Danish university you’re interested in. Various online resources are available (including this site run by the Ministry of Higher Education and Science), to help you find out what your secondary qualifications equate to in the Danish system. Depending on your country of origin and grades, a supplementary year of study may be required. The Study in Denmark website also contains detailed information on how to apply. You’ll need to prove you are fluent in the language of tuition, with the level depending on the course and university to which you are applying – as ever, check with the institution. Student visa requirements vary according to whether or not you are from an EU/EEA country. Citizens of other Nordic countries are treated as if they were Danish citizens. You do not need a visa to study in Denmark. You will need to get a registration certificate, which is simply a confirmation of your rights as an EU/EEA/Swiss citizen. In order to get this you will simply need to prove your citizenship and that you have been accepted onto a course of higher education. You will also be required to show that you have sufficient financial means to support yourself. You are allowed to work without restriction, but must have a permit to do so, which you can apply for at the same time as your registration certificate. Must get a residence permit in order to study in Denmark. In order to get this you must prove that you have been accepted as a student to a higher education program at a university, college or institute that has been approved by the Danish government. You must prove you can support yourself financially for the duration of your stay. If you are to pay a tuition fee, you must show that you have paid the fee for the first semester or year. You must prove you can speak and understand the language of instruction and have a functional command of Danish, Swedish, Norwegian, English or German. If you’re a citizen of any other country within the EU/EEA (or Switzerland), you will be treated almost exactly the same as local students. This means that universities in Denmark are free to attend, at all levels. If you are from outside the EU/EEA, you will be required to pay fees, which on average cost €6,000-16,000 per year (~US$6,800-18,100). Some scholarships are available, offered by individual Danish universities and also via public initiatives.